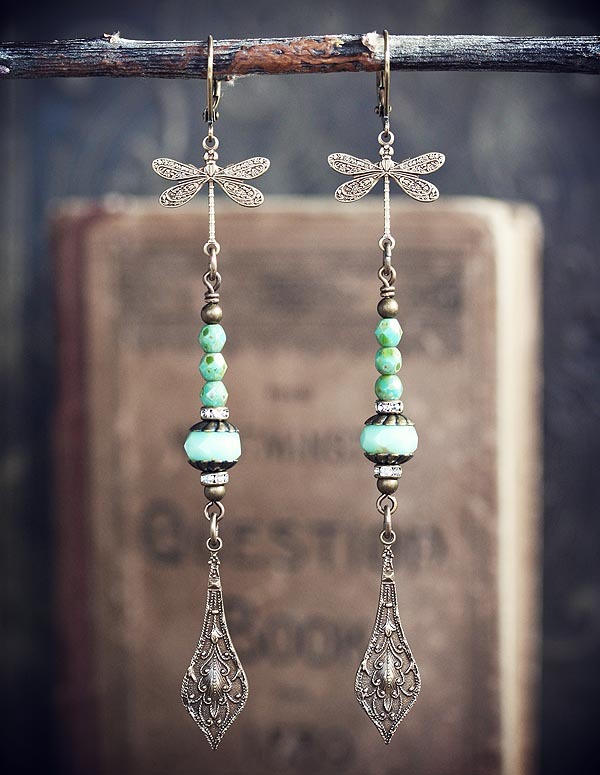 Extra long, delicate and so vibrant...this pair of earrings is a fantasy to behold. 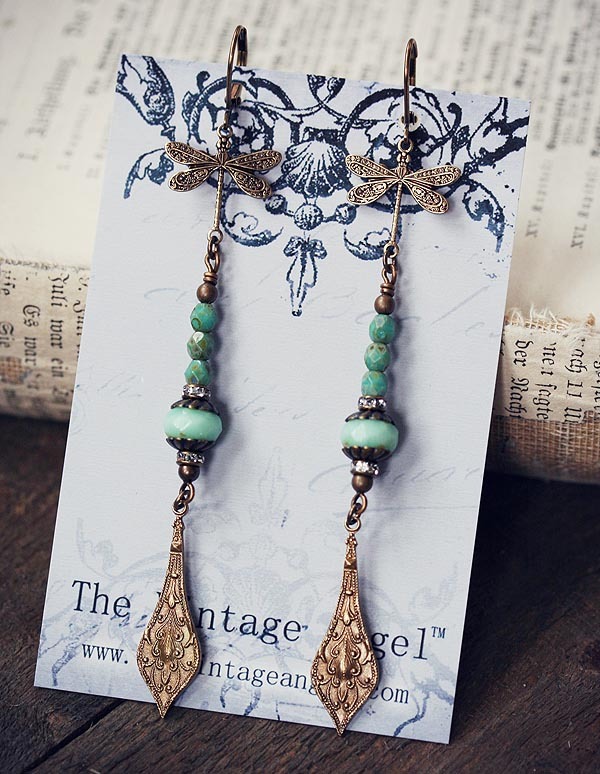 Victorian style dragonflies in antiqued brass suspend an assembly of Czech glass rounds and vintage rondelles in fresh mint green hues. Finished with elaborate Victorian style pendants in aged brass. Hung on leverback hooks for pierced ears. All metal is antiqued brass, free and lead and nickel. 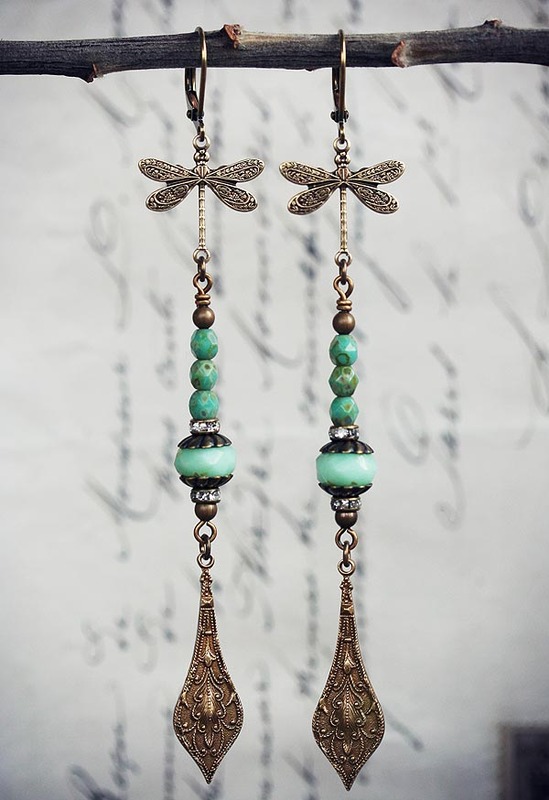 Lightweight and easy to wear despite their length, includes earring backs.